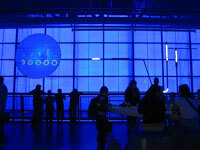 Perfect for inquisitive children, the Science Museum will captivate, educate and thrill kids of all ages. Featuring dozens of state-of-the-art exhibits, the Science Museum also features a 3D IMAX Theatre. The Museum's rotating exhibitions are topical and intriguing ensuring that kids can visit many times and always learn something new and relevant to their world. Other popular attractions include the space descent VR experience with astronaut Tim Peake as your guide, the Tomorrow's World object gallery, and the interactive Wonderlab gallery. Opening times: Open daily, from 10am to 6pm.